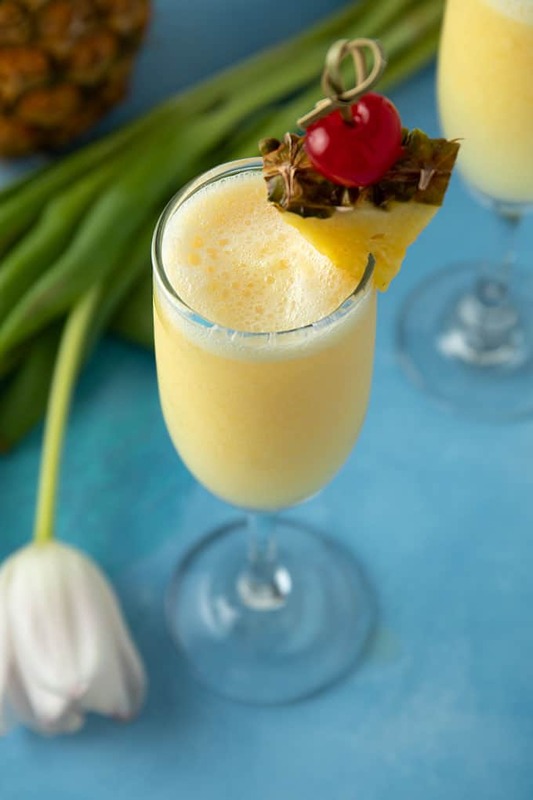 These beautiful and delicious Pineapple Cream Mimosas are going to be a hit at your next weekend brunch! 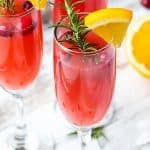 With Easter and Mother’s Day quickly approaching, I’ve been thinking of an extra-special mimosa to make for my mom that she would enjoy. This is it! 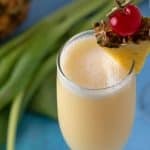 This recipe combines the classic mimosa we all love with a creamy, tropical twist… and it’s SO EASY. Actually, my mama has already had this mimosa. 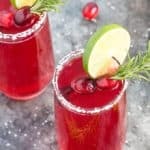 She was here visiting when I was testing the recipe and (how do I make this sound elegant???) GULPED IT DOWN. 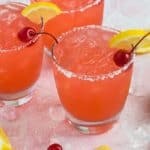 Needless to say, these do go down extremely easy… so be forewarned. 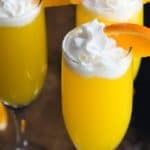 What makes these mimosas creamy? The secret ingredient is sherbet. 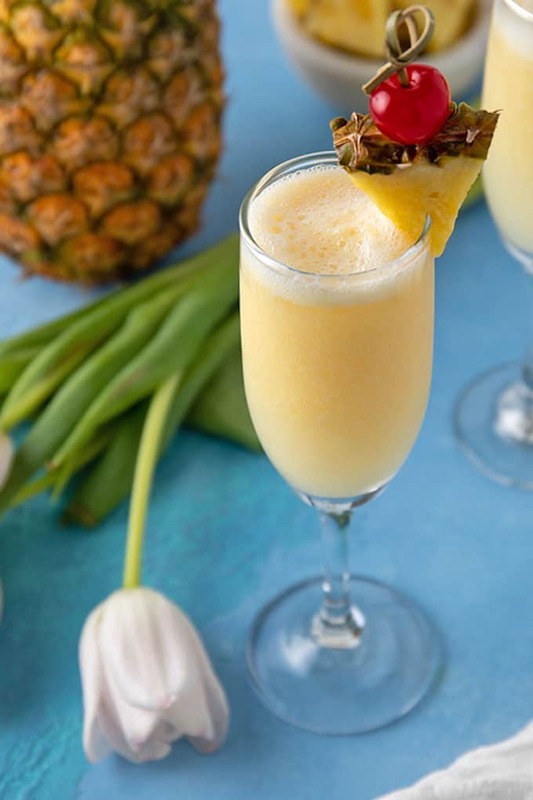 By blending equal amounts of pineapple juice and pineapple sherbet, then pouring over your favorite champagne, it results in the ultimate creamy brunch mimosa. 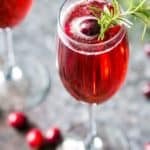 This mimosa is creamy without being too heavy and filling. By using sherbet, it gives it a light and creamy taste. 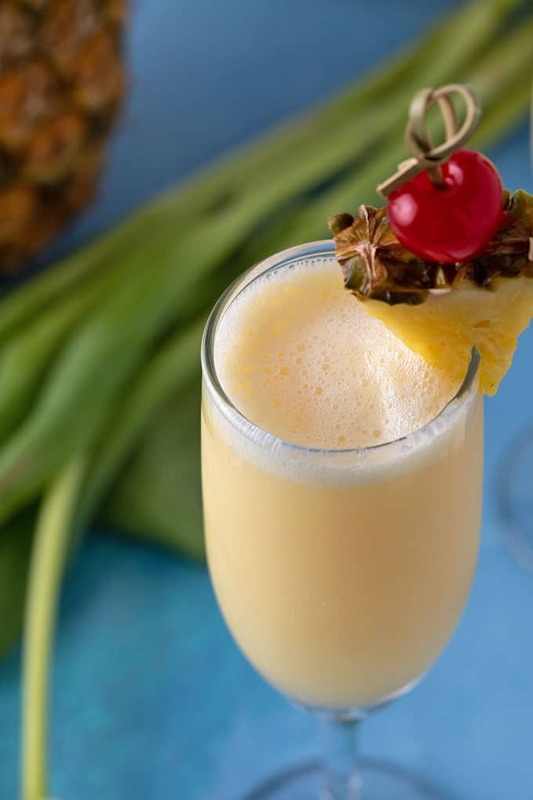 It tastes sweet, crisp, creamy and tropical. 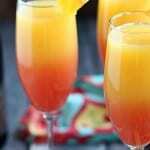 This recipe yields 4 (6-ounce) mimosas. It’s important to note to very SLOWLY pour the sherbet mixture over the champagne so that it doesn’t fizz up too quickly and overflow.